It is one of the worst natural disasters to hit southern Missouri in decades. 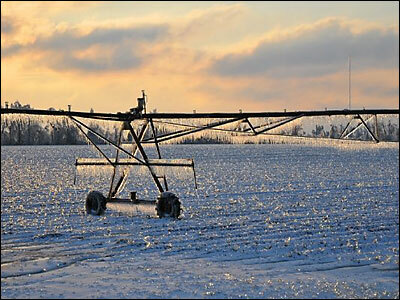 The winter storm that began Jan. 26 brought three days of ice, sleet and snow accumulations of 8 inches. At the peak, almost 100,000 people were without power from Poplar Bluff, across the Missouri Bootheel into southern Illinois. 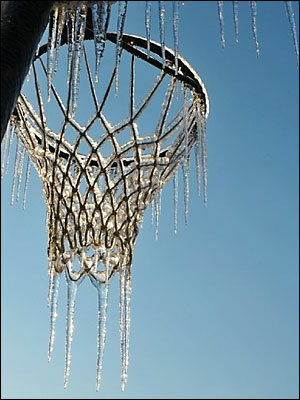 Tens of thousands shivered in sub-freezing temperatures. More than a hundred shelters had to be opened in Cape Girardeau, Sikeston, Chaffee and other southeast Missouri cities. Almost in the dead center bull’s eye of the storm was the University of Missouri College of Agriculture, Food and Natural Resources’ Delta Research Center in Portageville, Mo. After securing their own operation, clearing roads of downed trees and utility poles and starting generators to provide electricity, the staff of the center went out into the community to help others. Jake Fisher, director of the Delta Research Center, reported that volunteers from his organization—everyone from farm and maintenance workers to office staff—put in 16-hour days to help in the effort. They first set up the center’s Exhibit Hall as an emergency shelter. Then, they helped get generators operational in schools, municipal water plants and emergency shelters. They even worked with a local oil vendor who each night made sure the generators were fueled and maintained. Two Delta Center employees, Delmar “Buddy” Forrester, agriculture equipment operator, and Gary Rainwater, mechanical trades specialist, operated heavy equipment for most of the weekend to help in the cleanup effort that saw trees and utility poles strewn like broken matchsticks across the area. Then, even though their own homes were without power, they then delivered lunches to the line workers. The storm was immense. It raged from Arkansas to Ohio. In Kentucky, almost 432,000 homes and businesses lost electricity and almost 8,000 people had to flee to shelters, according to the Associated Press. At least seven deaths were associated with the storm in that state and at least 55 died in the entire storm’s path. In Missouri, six deaths—five in traffic and one from hypothermia—have been blamed on the storm. Missouri Delta Medical Center in Sikeston had three patients with critical carbon monoxide poisoning from gasoline generators. More were hospitalized with respiratory problems due to the cold. 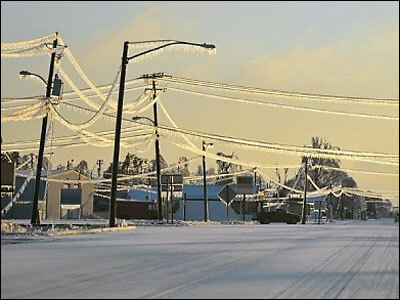 The widespread loss of electricity occurred when winds of 30 mph caused ice-laden power lines to sway, causing the wooden power poles to snap in two. Fisher said the poles didn’t stop breaking until Wednesday, days after the onset of the storm. 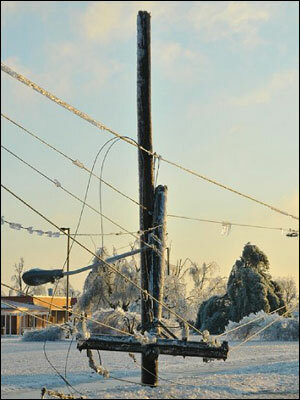 At least 16,000 broken utility poles in the Bootheel blocked major and residential streets. It took almost two days for crews to clear the majority of the streets to allow heavy equipment to move into the area. The Missouri National Guard, agencies like the Missouri Department of Conservation and approximately 4,000 line workers, field checkers, tree trimmers and other support staffers worked to repair damage in Missouri. Utility crews from as far away as Iowa helped clear the debris and restore the power lines. 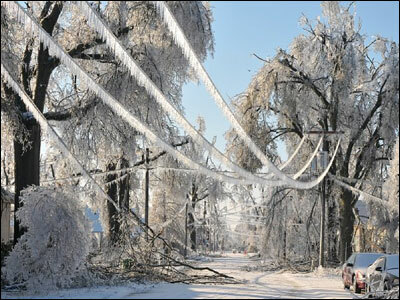 A week after the storm’s start, about 54,000 Missouri homes and businesses, mostly in the southeast area of the state, remained without electricity. One CAFNR employee in Columbia answering the call for licensed electricians was Dennis Russell, integrated farm systems specialist. He joined Delta Center maintenance and farm employees to hook up generators donated by the Federal Emergency Management Agency to nursing homes, emergency warming centers and community water and sewage operations. Getting power to the county water districts, that didn’t have backup systems, was a priority, Fisher said. Some communities lost water availability for more than 24 hours until the generators could restore power to water district pumps, according to the Associated Press. With so many emergency personnel arriving in the area, a problem developed to house and feed the workers. Fisher said the Delta Center team got a generator online at a popular restaurant so emergency workers could eat hot meals instead of the Meals Ready to Eat (MREs) that were being distributed by the National Guard. Fisher had other electrical problems to contend with. As president of the 8,500-member Pemiscot-Dunklin Electric Coop in Bragg City, Mo., he saw all of his customers lose electricity due to 6,000 snapped power poles. That brought 95 percent of the system’s power lines down. It was the biggest disaster for the coop since its founding in 1937. “I guess we’ll have an all-new system when this is cleared up,” he said. And possibly much of the rest of southern Missouri, too.